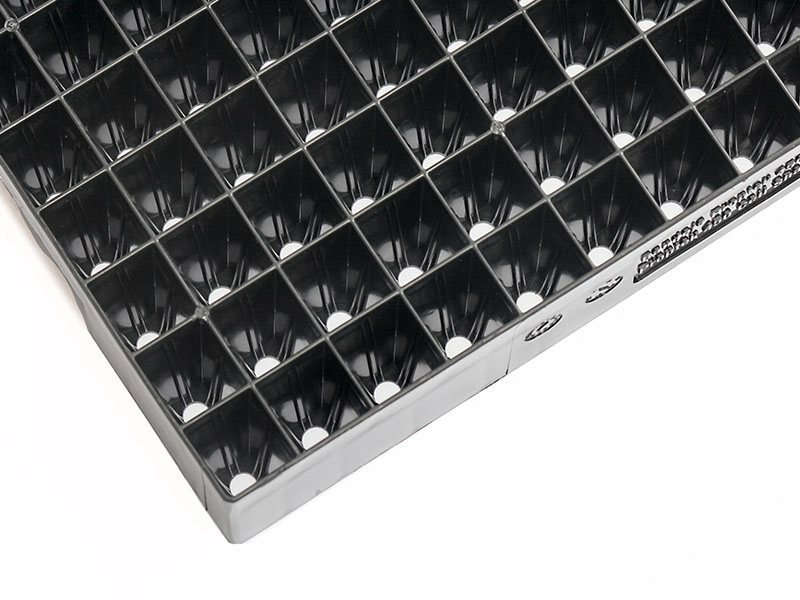 Same outer tray size and cell volume (39cc) as 128 Styrofoam (EPS) tray but with up to 10 years working life. 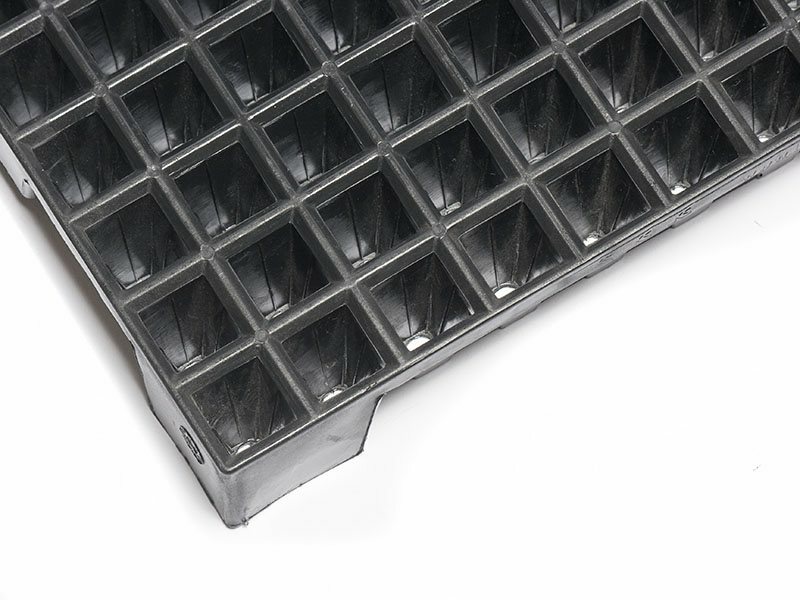 Vented top surface for superior air flow. Features patented root training and air pruning technology for incredibly natural roots. Cell shape designed to allow plants to pull very easily, year after year. Designed to fit on ‘T’ rail benching. Compatible with a wide range of seeding machines. 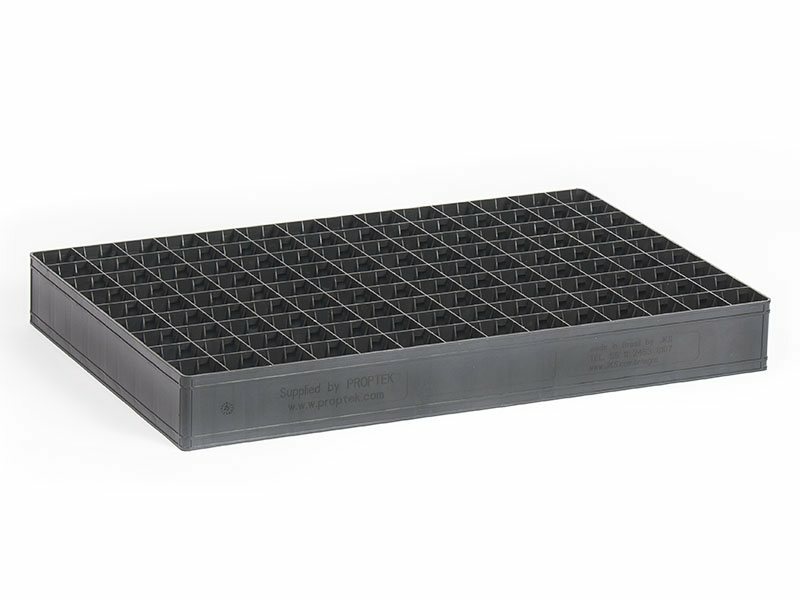 Can be sterilised with no negative effects to the tray. This 26 x 13 inch vegetable propagation tray creates a new standard in plastic vegetable propagation trays. This tray is especially suited to melon and tomato transplants, but can be used for almost any crops you may be growing. 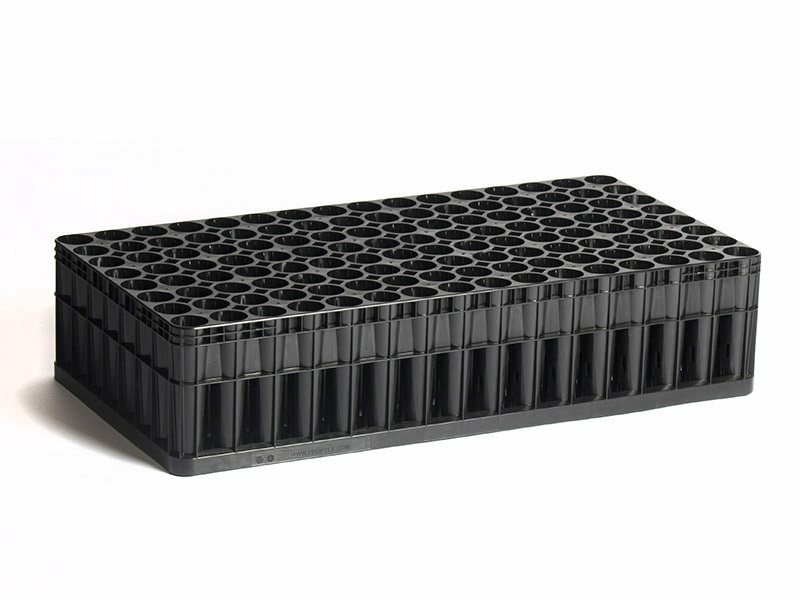 It is also proving to be an excellent choice for hemp propagators throughout the USA. 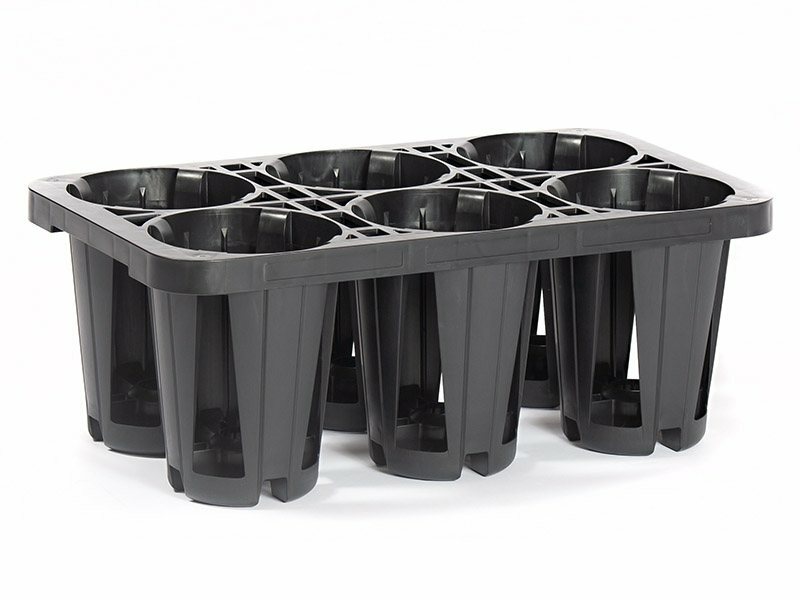 We were challenged by the growers of the South-East USA to create a plastic 128 cell vegetable propagation tray that would last for years, could be effectively sterilized, creates exceptional plants that pull easily, fits into current nursery set ups and with the same cell volume – but not weigh the Earth. The best plants you’ll see and only 20% heavier going to the field than the 128 Styrofoam (EPS) equivalent. 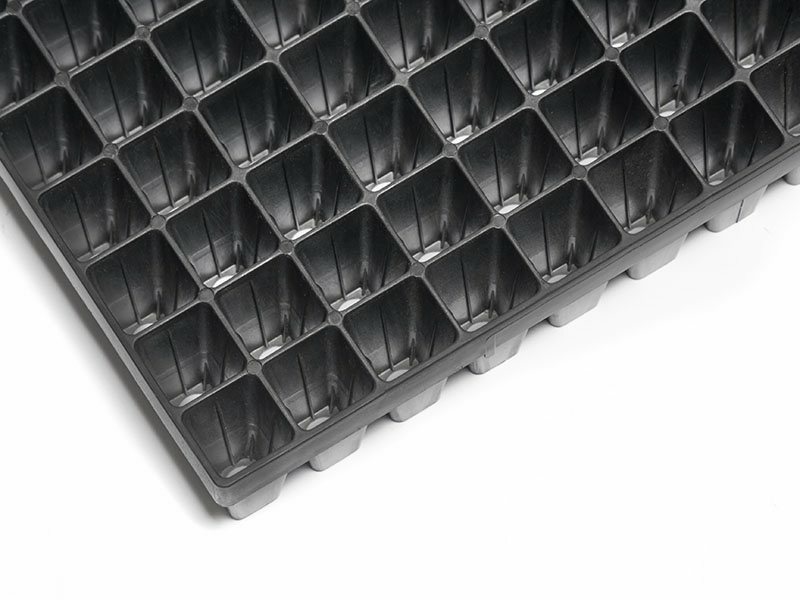 Compared to other similar 128 cell plastic trays that are sometimes over double the weight of an EPS vegetable tray, the benefits of this fantastic new tray are more than worth a marginal increase in weight. 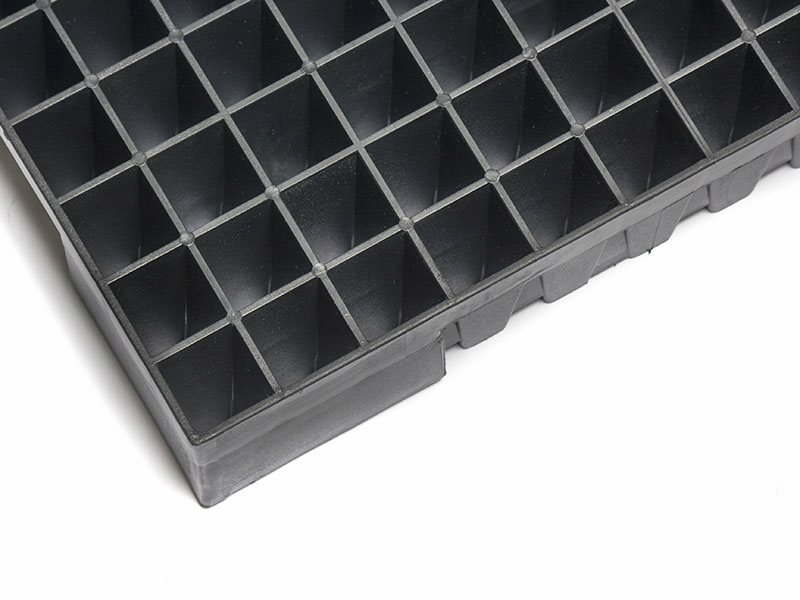 The tray is packed full of features to get the very best from your plants. 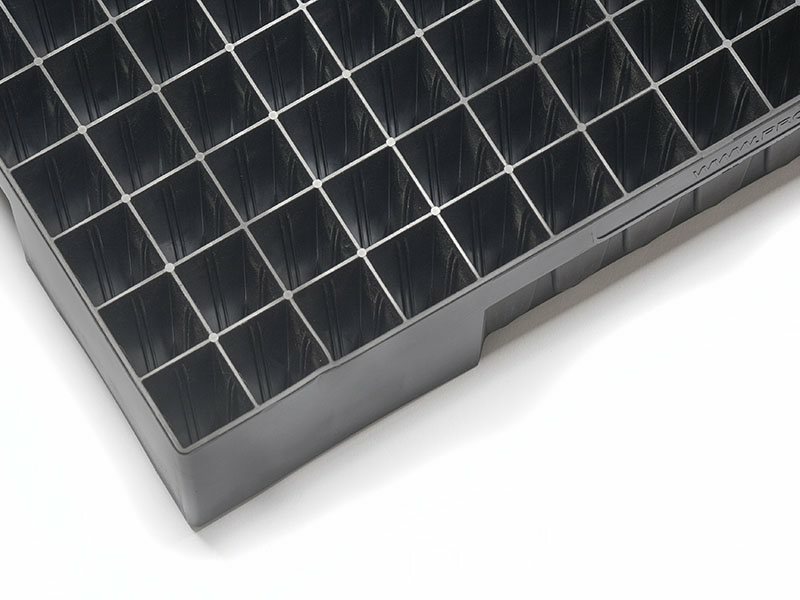 It features a vented top surface for superior airflow to ensure the canopy dries faster, reduces foliar disease and gives more dry/wet cycles. It also features Proptek’s patented root training and air pruning technology for numerous, non-circling natural roots. 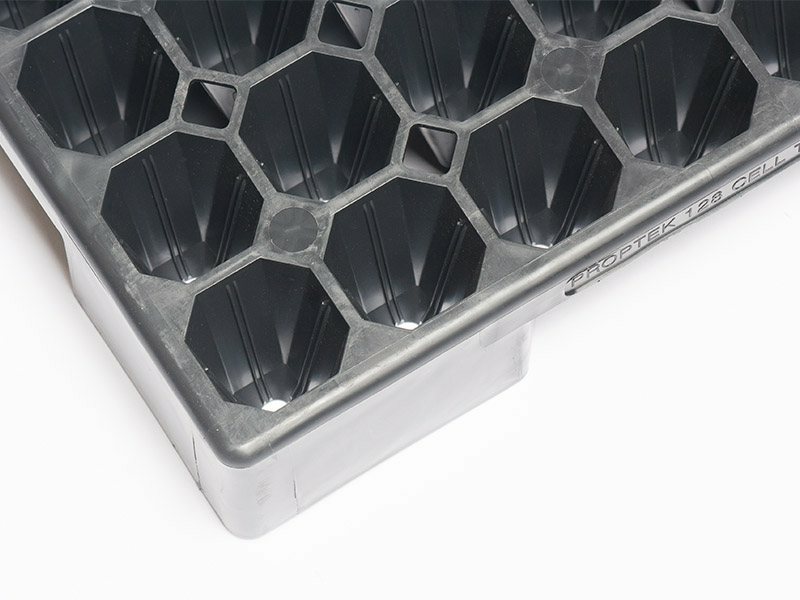 Because of the injection molded construction, improved cell shape and superior roots, plants pull very easily. 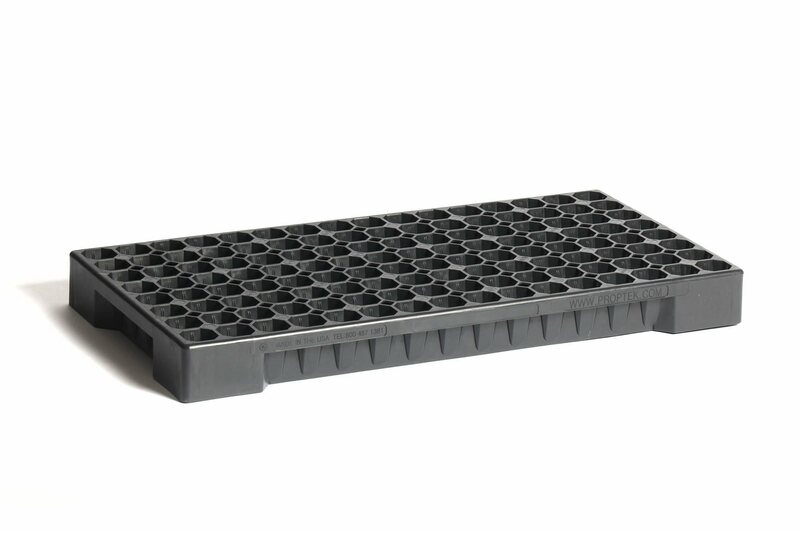 This makes transplanting much quicker and helps reduce any potential damage to the seedlings from pulling. 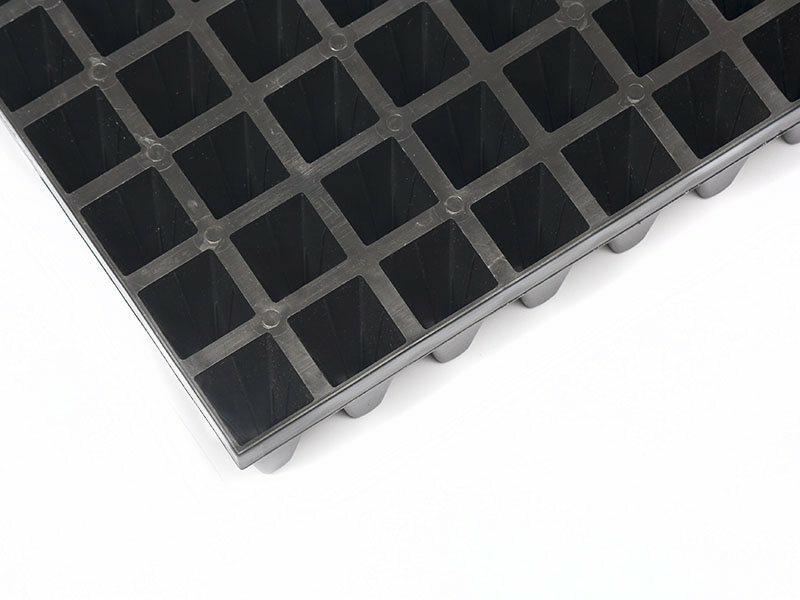 This tray can also be financed to reduce the upfront cost and improve cashflow.